Hull FC’s eternal search for consistency and stability in the scrum-half and stand-off roles at the KC Stadium has long been rather large bone of contention for the long suffering Old Faithful. Not since the home-grown pairing of Richard Horne and Paul Cooke have we seen a partnership with the ability and promise worthy of the black-and-white shirt. Several high profile names have been and gone since Cooke tore up his imaginary contact and moved east, and with Adam Pearson recently hinting that the club may be looking to strengthen in that area, the hunt for another creative genius is on. Current incumbents Jacob Miller and Jordan Rankin arrived on English shores with plenty of promise. Miller, a former Australian schoolboy, was initially touted as an option when Hull began their fruitless chase of Scott Prince in the Autumn of 2012, he eventually turned up mid-way through 2013 as a replacement for Brett Seymour, and whilst he has shown occasional glimpses of brilliance, he is still searching for that level of consistency which would make him a first team regular. Rankin, though listed as a full-back on Hull’s official website, has been earmarked as a stand-off and the former Aussie schoolboy captain has played most of his rugby in the black and white jersey in that position. A rangy and elusive runner, Rankin, like Miller, has yet to show the leadership and organisational skills, that are required from such a key role. So who do we look to? The forums and twitter feeds are, as ever, alive with speculation as to who might be the answer for the Black and Whites, we at inanykindofweather.com take a look at some of the candidates. Hull’s pursuit of Scott Prince in 2012 showed that they are not afraid to target some of the bigger names in the NRL, and if they pulled off the signing of Campese it would easily be regarded as one of their bigger signings in the Super League era. The Canberra skipper has been dogged by injuries in the past few years but has been fairly consistent in 2014 and would be a major coup for the Airlie Birds. A former winner of the Harry Sunderland Trophy, Thomas certainly knows his way around Super League following an eight year spell in England with London Broncos and Wigan. Current struggles with injury have hindered his time on the pitch with the New Zealand Warriors, but at 28 there is still plenty more rugby in him. With his father’s legendary stint at the Boulevard in the 80’s Thomas was always going to be linked with Hull, but can FC prise him away from a lucrative contact in Auckland? If Hull had had space on their salary cap in 2008 they may have already found the answer to their half-back problems. Unfortunately Hull’s loss was KR’s gain and Dobson went on to become a modern legend for Rovers making over 150 appearances in an impressive five year spell. Currently warming the bench at Newcastle Knights, it is no surprise to see a clutch of Super League clubs coveting his signature for 2014. Currently covering for the injured Cooper Cronk at the Storm, Roberts was strongly linked with a move to Hull in the Autumn following some impressive displays for Samoa in the Rugby League World Cup. Out of contract with Melbourne at the end of the current campaign, the 28-year-old may fancy his chances of more regular rugby league with a Super League contract. No stranger to Super League, following spells with Crusaders and London, the 30-year-old was another who was linked with a move to Hull last autumn. 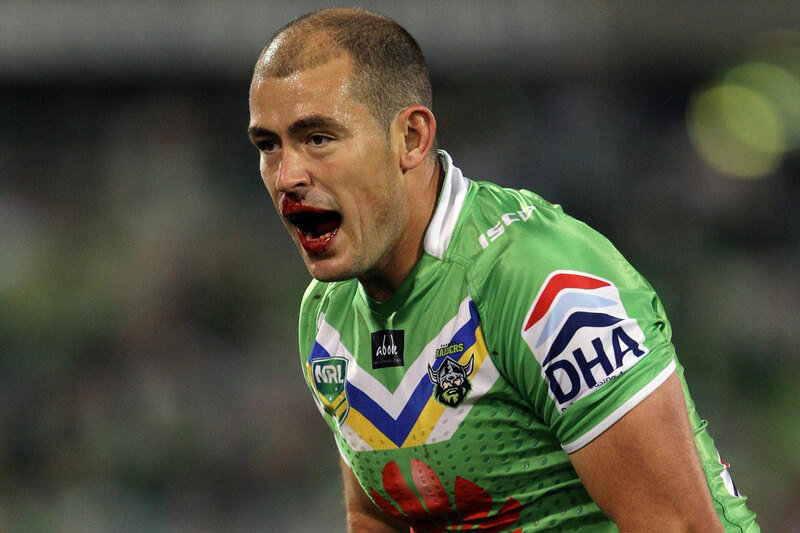 Has bags of experience in the NRL and is currently a back-up option for St George. Out of contract for 2015 but would he fancy another move back to England? One of the real stars of the NRL, has won caps for Australia and seen State of Origin duty with New South Wales. At 32, he is coming towards the end of his career, but might just fancy one last payday in Super League. Out of contract at the end of 2014, the Wests Tigers man will have a big decision to make on where his future lies. Salford’s flexible salary cap should expect them to secure further options in the half-back department which is likely to mean that there will be players surplus to requirements at the AJ Bell Stadium. Smith’s game has suffered playing alongside the unpredictable Rangi Chase, whilst Marc Sneyd has been an impressive figure in Castleford’s surprise package of 2014. Leigh coach Paul Rowley recently issued a hands-off warning to prospective Super League suitors and Salford have long been linked with a move for a player who admits that he would one day like to play for his boyhood club. But if Salford avert their gaze to bigger fish, could one of the Championship’s hottest young prospects be a target for Hull?